We are excited to introduce you to some amazing #WomeninCoffee. These talented women, who are stepping up to support and advise the GFE program, will also be sharing important observations and insights about the specialty coffee sector. Amanda Avutu is a brand storyteller and content strategist who helps people, companies, and organizations articulate why they are passionate about what they do, and why they do it best. The founder of Good Egg Branding: Storytelling for the socially responsible, her speciality is working on projects with true purpose. Amanda holds a Bachelor’s degree in English and Journalism from Rutgers University, and earned her Master of Fine Arts in Poetry at The New School. An essayist, her writing has been featured in O: The Oprah Magazine, the New York Times, the Washington Post, Atlanta Magazine, and Bitter Southerner. An avid coffee drinker, former barista, and caffeine fiend, Amanda relishes the opportunity to broaden her knowledge of and appreciation for coffee. 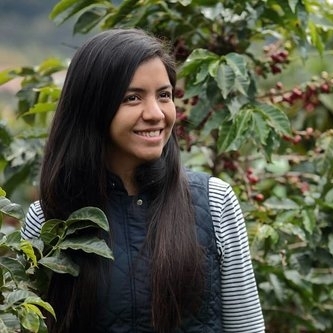 Marjorie is from El Salvador and loves teaching and learning about coffee! She is a coffee specialist with global experience on the production and processing side. She currently works as an external consultant for a French importing company and is in charge of the quality control of coffees at origin. In this capacity, she visits coffee farms all over Africa and Latin America. We are lucky to have Marjorie sharing her knowledge with GFE Farmers and with 2018 GFE Origin Trip participants. Marjorie holds a Masters in Coffee Economics and Science from the University of Udine, Italy and an Engineering degree from Zamorano University in Honduras. Noushin Ketabi is a Co-Founder of Vega Coffee, the first online marketplace for farmer roasted coffee. She leads Vega’s operations, product development, and branding. Noushin is a certified coffee roaster and licensed Q Grader—a professionally trained cupper accredited by the Coffee Quality Institute to grade Arabica coffee. Prior to Vega, Noushin served as a Senior Regulatory Analyst for the California Public Utilities Commission, and completed a Fulbright in Nicaragua on its renewable energy policy framework in 2011. She earned a joint J.D./M.A. in International Political Economy and Development from Fordham University and a B.A. from the University of California at Berkeley, with honors. Noushin loves coffee, and the people and places involved in creating it. Brooke is a graduate of Santa Clara University with a degree in Political Science and International Relations. She currently lives in Guatemala City and works at Alterna, Center for Innovation and Entrepreneurship, as a Strategic Partnerships Manager. In this role, she connects entrepreneurs with impact investors to create more inclusive ecosystems across Central America. Brooke previously worked at the Miller Center for Social Entrepreneurship in Silicon Valley, and for Bana, a social enterprise in Uganda. Brooke is also passionate about coffee and is especially interested in how the things she is learning and applying at Alterna can help transform excellent coffee farmers into amazing coffee entrepreneurs. This, according to Brooke, involves telling great stories and creating powerful market identities. GFE is lucky to have this combination of coffee and entrepreneurship as we help to create sustainable businesses and economies in the specialty coffee industry. Ashley is a 3rd generation coffee producer from Guatemala. She has a degree in Business Administration and a Masters in Coffee Science and Economics. She is a licensed Q Grader and Q Processor. Ashley formerly worked with USAID’S Rural Value Chains Project assisting farmers with business strategies, differentiation, quality control and segmentation, and accessing new and differentiated markets. Additionally, she lead the National Coffee Association of Guatemala, Anacafe's, sustainability committee supporting different projects and sustainability initiatives. Ashley is an active volunteer of the SCA Sustainability Center working specifically in creating awareness of critical topics like farmer profitability. She is the founder of Gento Coffee a social enterprise focused on promoting value added activities at origin to increase farmer profitability, encourage sustainable business models, and advance transparency in the coffee value chain. Peter is the Academic Director of Social Enterprise @ Goizueta and Professor of Organization and Management at Emory University's Goizueta Business School. Professor Roberts founded Social Enterprise @ Goizueta after many years of conducting research on how the behavior and performance of organizations evolve over time. He has published studies on topics related to innovation and entrepreneurship; reputation, status and identity; and industry evolution in the pharmaceutical, hotel, wine and restaurant industries. For the past three years, Peter's research focus has been on social entrepreneurs, microfinance institutions, and philanthropic organizations and foundations. Before coming to Goizueta in 2003, Peter served on the faculties of Columbia University, Carnegie Mellon University, and the Australian Graduate School of Management. His Ph.D is from the University of Alberta. Giselle Barrera is the Program Manager for Latin America and Grounds for Empowerment. Prior to joining SE@G, Giselle worked in management consulting (Deloitte) and supply chain (Chevron Corporation). Giselle has an MBA from Emory University's Goizueta Business School and a Bachelor in Business from Universidad Centroamericana in El Salvador. Aelish Benjamin-Brown is the Program Associate for the Grounds for Empowerment. Aelish graduated from Boston University with a degree in International Relations and a minor in Anthropology. Her academic studies focused on foreign policy and economic development in Latin America. 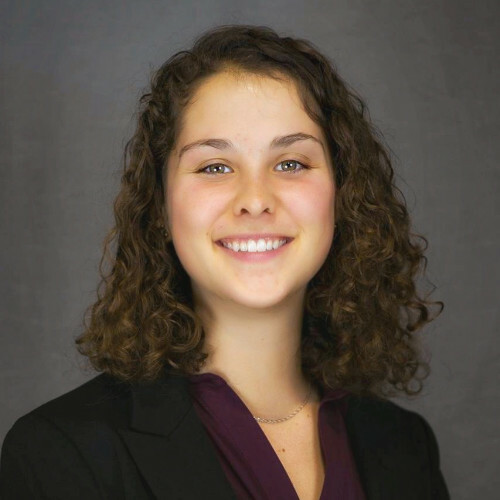 Prior to joining GFE, she spent time studying in Ecuador and interning with the US Department of State.